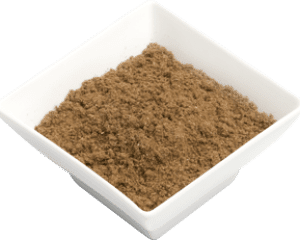 Garam masala, “hot spices” in Hindi, is a richly aromatic blend of spices that gives a balanced blend of sweet and peppery flavours to Indian and Asian dishes. Even tough the ingredients vary according to the country, village or family, some of the ingredients of this versatile Indian mix are cardamom, ginger, fennel, black pepper, cumin, cinnamon, cloves and nutmeg. It is widely used in Indian and Asian cooking and seasoning and especially for adding flavour to curries. Garam masala, “hot spices” in Hindi, is a richly aromatic blend of spices that gives a balanced blend of sweet and peppery flavours to Indian and Asian dishes. Even though the ingredients vary according to the country, village or family, some of the ingredients of this versatile Indian mix are cardamom, ginger, fennel, black pepper, cumin, cinnamon, cloves and nutmeg. It is widely used in Indian and Asian cooking and seasoning and especially for adding flavour to curries. Garam Masala contains different ingredients, which each of them contains many health benefits. Some of them are: cardamom, ginger, fennel, black pepper, cumin, cinnamon, cloves and nutmeg.